Families around the U.S. are going home from their pediatric checkups with a prescription to read and to visit their local library for “free books and storytime”! These families go to medical clinics that are part of the Reach Out and Read program, many of which are participating in an initiative to collaborate with their local libraries and museums. 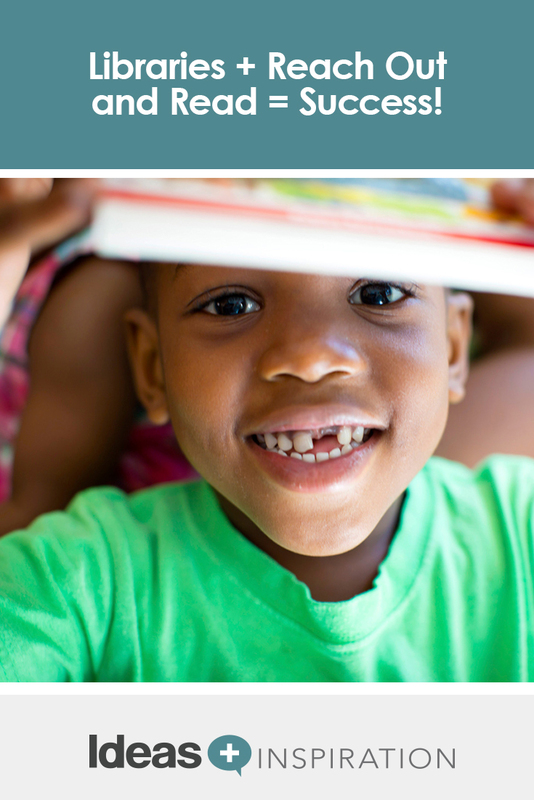 Reach Out and Read is a national early literacy program that promotes reading aloud to young children. When Reach Out and Read and libraries work together at a local level, they can have a collective impact on the lives of the children in their communities. More than 5,500 medical clinics nationwide deliver the Reach Out and Read program to 4.5 million children every year. 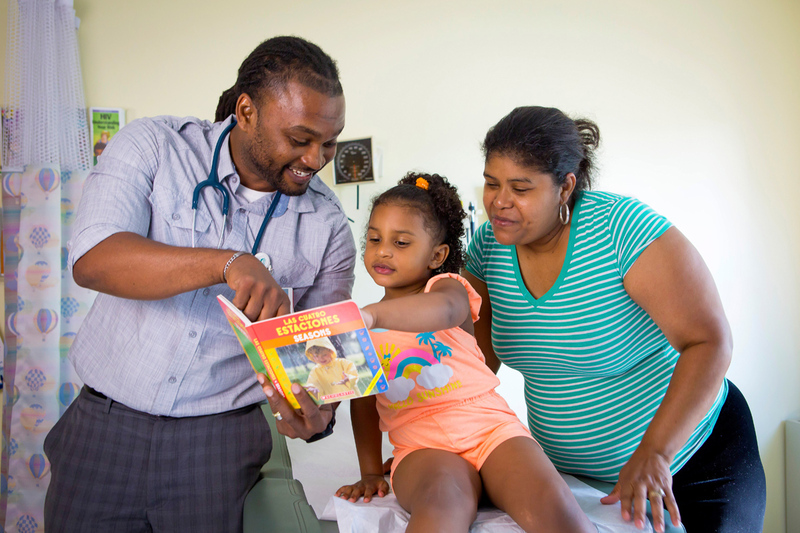 At regular checkups from infancy through five years of age, trained doctors and nurse practitioners speak with parents about the importance of reading aloud, and every child receives a new, carefully chosen book to take home and enjoy together with their caregivers. 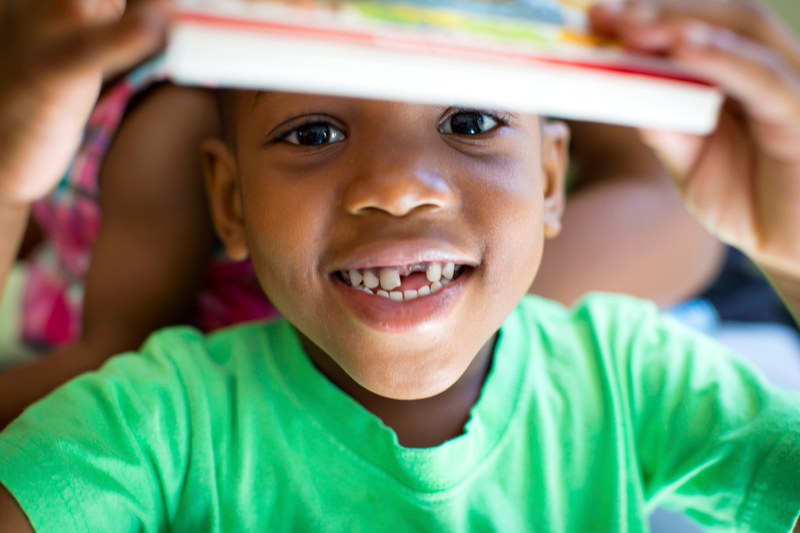 Through Reach Out and Read, each child starts kindergarten with a home library of up to 10 books. Parents have heard at every checkup about the importance of reading aloud to their infants, toddlers and preschoolers. Libraries can extend the impact of the Reach Out and Read program by giving families the opportunity to read more books together and to spend time enjoying library activities. And library staff can reinforce Reach Out and Read’s message that engaging with young children through reading and playing together helps to foster healthy brain development that gives children the best start in life. Reach Out and Read can further the special role that libraries have in meeting the needs of America’s youngest learners and their caregivers. Reach Out and Read practitioners have unparalleled access to children from infancy through pediatric checkups and are able to open the door to libraries for many families — especially those struggling on a low income — who might otherwise not know the value of these institutions. Last year, Reach Out and Read embarked on the Prescription for Success project, funded by the Institute of Museum and Library Services, aimed at supporting local collaborations among libraries, museums and Reach Out and Read. One of the results of the project is the online Prescription for Success Toolkit, a compilation of best practices learned from a survey of current state and local partnerships between Reach Out and Read and libraries and museums. It provides ideas and resources for those who currently, or would like to, work together. The Toolkit encourages local libraries, museums and Reach Out and Read program sites to open conversations with one another to explore common interests, learn about one another and build trust and community. It suggests ways in which they can support each other’s services, such as clinics prescribing visits to the library using a prescription pad. It also includes links to materials and resources to help with collaborations and examples of successful partnerships. Hosting library story hours, providing a reader/storyteller at the Reach Out and Read medical office waiting room or visiting medical offices with the Library Bookmobile. Printing and distributing Reach Out and Read materials at your museum or library, including “Reading Tips for Families” in English and Spanish and age-appropriate bookmarks with advice on reading aloud. Providing information about your museum or library for display in Reach Out and Read medical office waiting rooms. Helping to create booklists for children in the Reach Out and Read age range. Donating gently used books or coordinating a volunteer-run program to provide books for Reach Out and Read medical office waiting rooms. Creating literacy-rich waiting rooms for Reach Out and Read clinics. The Toolkit will be updated with more information and ideas as more libraries, museums and Reach Out and Read program sites set up mutually beneficial relationships, and we hope that this will become a much-visited resource. Please take a look! And don’t miss Demco’s archived webinar, Books Build Better Brains, featuring Dr. Dipesh Navsaria discussing the factors that influence early brain development and how books and parent interaction can help combat negative effects. Nikki is a Brit who crossed the pond 10 years ago with her family and is still getting used to American English spelling. With a long communications career in both medical research and the non-profit world, she now enjoys promoting all that is wonderful about Reach Out and Read.